The Tiger Maids team has been serving top quality cleaning service for homeowners in the Mizzou area for over 20 years. Whether you’re looking for deep cleaning or in need of a maid to help with maintenance, the Tiger Maids team is here to help. I am very pleased with the conscientiousness of my cleaning team. They deserve an A+ on keeping the dog fur under control here. I love to come home after they have been through and I always leave the dogs outside for a while so I can enjoy the fresh smell and walk on the clean floor. I’m not kidding you. It’s just a great feeling to walk in here every other Wednesday and say, WOW. You are fortunate to have such dedicated people working for you. I’m quite a neat freak and like my house a certain way…and by neat freak I mean… basically OCD. J My husband was tired of me always tidying up the place and suggested that we hire a cleaning company so we could have more free time together and with our son. After trying out two local cleaning companies, I finally landed upon Tiger Maids and will never try another local company again! The first time Tiger Maids cleaned our home I came in to find the floors spotless, countertops gleaming, and our glass and mirrors good as new…no detail missed. The service is well worth the money spent. For just a small amount every two weeks I’m able to have the peace of mind knowing my house is tidy and clean. Tim has always been prompt in his responses to any of my questions and the few times my husband or I have run into the ladies at our home they have been beyond kind. There is not a thing that comes to mind that your company could improve on, and I really appreciate the business you’ve built. A check to Tiger Maids is like buying time! Tiger Maids has been cleaning my home for over 14 years. As always I can count on them to be professional, reliable, and consistent. I feel very comfortable referring them based on the quality of their work and attention to detail. Tiger Maids is the most professional and consistent house cleaning service we have used. Tim was able to give me an estimate over the phone for the initial deep clean and bi weekly cleaning based on square footage and a few questions (we have a dog who sheds a ton). He was able to schedule the deep clean promptly. Two very nice ladies arrived on time. The deep clean ended up being about $15 more than estimated due to the length of time it took the cleaners, but it was worth it as the house looked great when finished. I can’t remember the exact price but it was around $110. We have had bi weekly cleaning for several months. The service has been reliable (no calls of “X worker didn’t show up today so we can’t clean,” which happened with other services). The service has also been flexible when we have need them to come earlier or later than usual. Tim communicates by phone and email which is great for me. He returns calls and emails promptly. 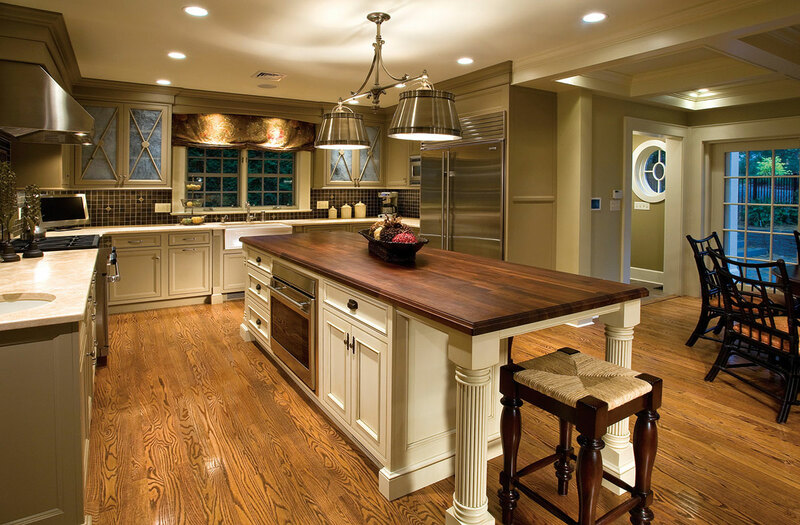 We find the cleaning to be thorough, especially in the kitchen where we have white counters and appliances. On dusting, they don’t hit every single area every time, but that is ok with me. Our house isn’t that dusty and I told Tim that dusting was not a priority. They do an outstanding job on the dog hair. I told Tim that was our priority. Our furniture is thoroughly vacuumed each time. I feel they do a great job listening to what the customer wants instead of doing the same job for everyone. Even though the initial deep clean was more than I paid with other services, the bi weekly is the lowest I have ever paid. We have had no issues with items being broken or damage. We did have that in the past with other services. We are very pleased with Tiger Maids. So I’m not sure how long we’ve made it without your cleaning services but we have definitely figured out the hard way that your service is one we cannot do without as long as my husband and I are both working. I’m now writing to see if you would be able to clean our house again. We thought it would be easier than it has been but we have figured out that you can’t buy extra time. With two small kids and a busy schedule, it’s something we have decided to make work and cut back on other things. Let me know if you are willing or able to clean our home again. It has truly been eye opening the amount of time it takes to even try to keep our house some what clean on our own. It has made us tired and cranky! We now know this is a service we will always keep!! It means way to much to have that extra time for our family. Let me know if you have any openings at all!